Preheat oven to 425 degrees. Line baking sheet with foil and coat with Olive Oil. 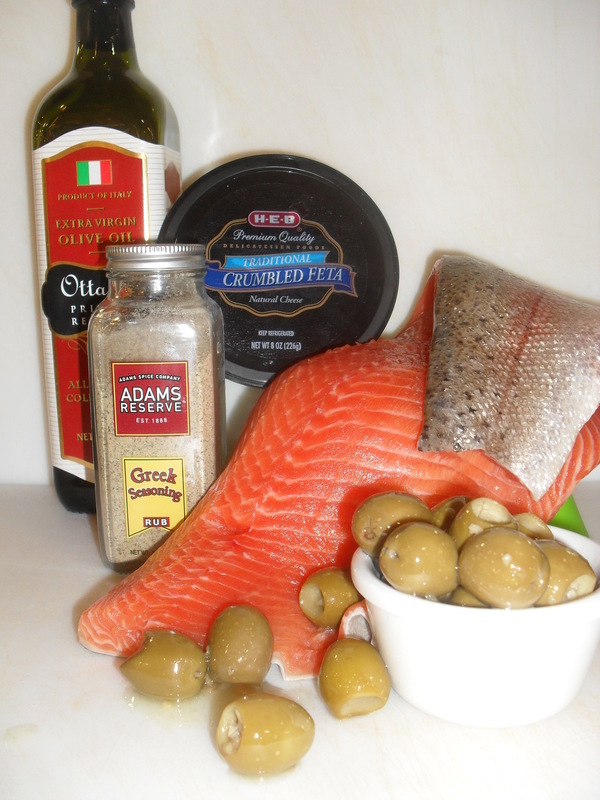 Place Trout, skin side down, and coat top with Olive Oil and then generously season with Greek Seasoning. Pop this little darling of a trout into the oven – and you’re on the island of Santorini. 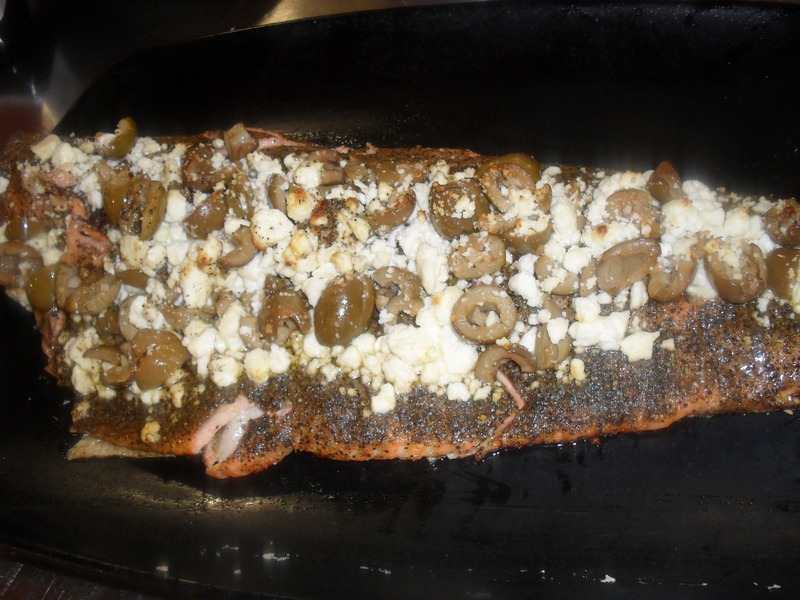 I will just sip some ouzo while the trout weaves its magic in the oven. V.
You always have the most wonderful ideas. Oh, I really like this! I must get some Greek seasoning. Hurry there is a $2.00 coupon! Thanks for the supper idea !!! Love this ! !